The capital of Rondônia, located on the eastern bank of the Madeira River, is the only Brazilian state capital to border with a different country, Bolívia. The local economy is driven by services and commerce, but sectors like agriculture, livestock and power generation are growing in the city. 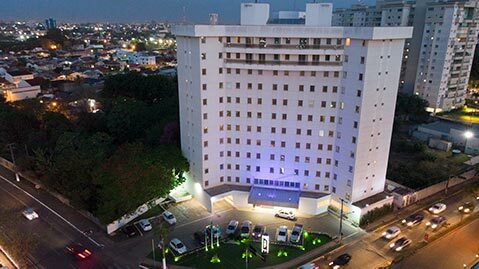 Whether your trip is busness or leisure, we have an excellent hotel option in Porto Velho to offer you. The Madeira-Mamoré Railway (backdrop for the Mad Maria soap opera) and the Sacred Heart of Jesus Cathedral are the city's main tourist attractions. The city's cultural plurality enables widely different types of celebrations and festivities, another important attraction of Porto Velho.